BCF : Last December, Interpol quietly removed a “red notice”—a computerized flag notifying police across the world that an individual is wanted for arrest by an Interpol member state—from Yusuf Al-Qaradawi, a Qatari-based nonagenarian cleric wanted in Egypt in connection to violent protests following the ouster of the Muslim Brotherhood-dominated government of Mohammad Morsi. 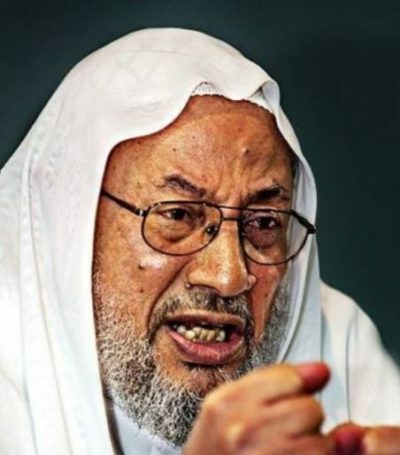 Qaradawi has long been central to the ongoing conflict between Qatar and its Gulf and its Arab neighbors—Egypt, Saudi Arabia, United Arab Emirates, and Bahrain—who accuse the small peninsula state of harboring and funding Islamist terrorists and insurrectionists who seek to destabilize the region. The red notice dismissal is a win for Qaradawi’s patron, Qatar, which has refused to distance itself from the Muslim Brotherhood cleric despite this intense diplomatic and economic pressure. While Qatar updated terror designations last year in response to international criticism, it has stubbornly defended Qaradawi. To understand why Qatar remains defiantly supportive of Qaradawi requires understanding the significant role he plays in Qatari affairs and in Qatar’s larger influence strategy. Qaradawi is perhaps best known in the West for his vitriolic anti-Semitism on the Qatari state-run media outlet Al Jazeera and fatwas supporting the use of suicide bombings by the terrorist group Hamas. In 2008, the U.S. government designated the Qaradawi-led international charitable coalition known as “The Union of the Good” for its role in financing Hamas.